It is no doubt that world famous singer, Ciara, is in love with Nigeria and has said many times before. The "Level Up" crooner was in Nigeria in 2016 for Darey Art Alade’s "Love Like A Movie" musical concert and had a great time in the country. Ciara traveled round the country meeting with young school children and adults. In more recent times, Ciara showed her attraction to Nigeria yet again when she featured Tekno on her new song "Freak Me". Now, she has proven yet again that she is in love wih Nigeria with her new photo. 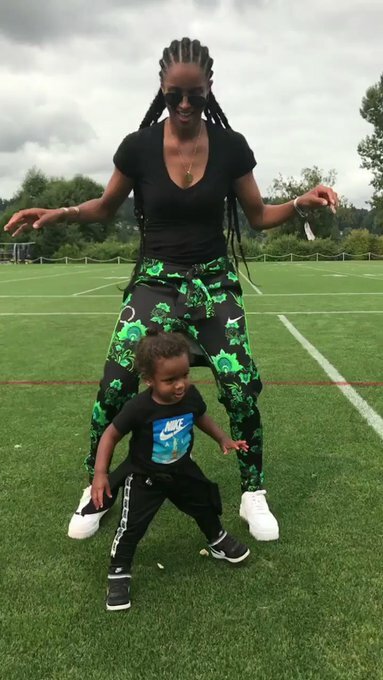 In the new photo, Ciara is seen rocking Super Eagles tracksuit. 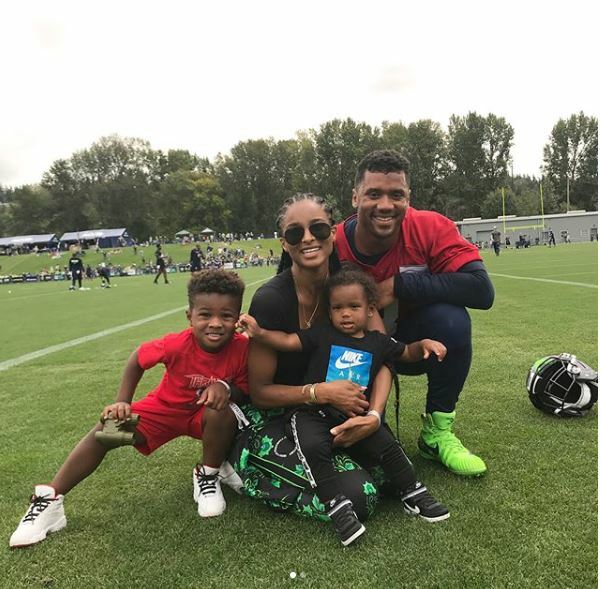 She is surrounded by her husband, Russell Wilson and kids on a field where they are apparently having a good time exercising.